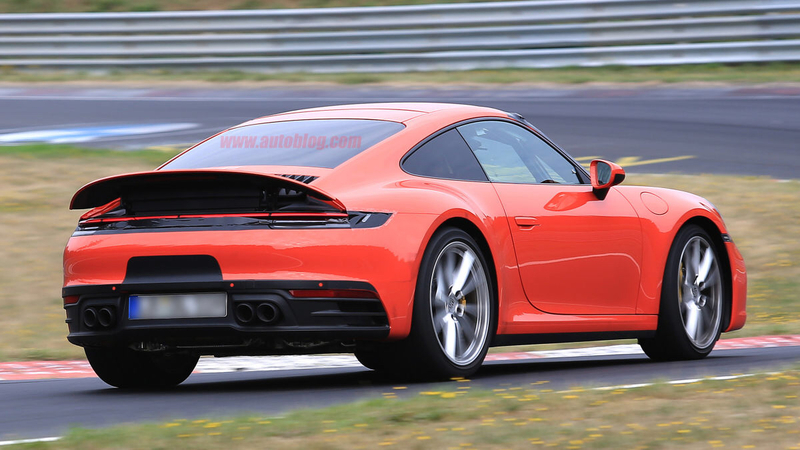 Looking at the pics from the link contained in the previous post just confirmed that I did the right thing by ordering my '19 Carrera T! I feel the same way. 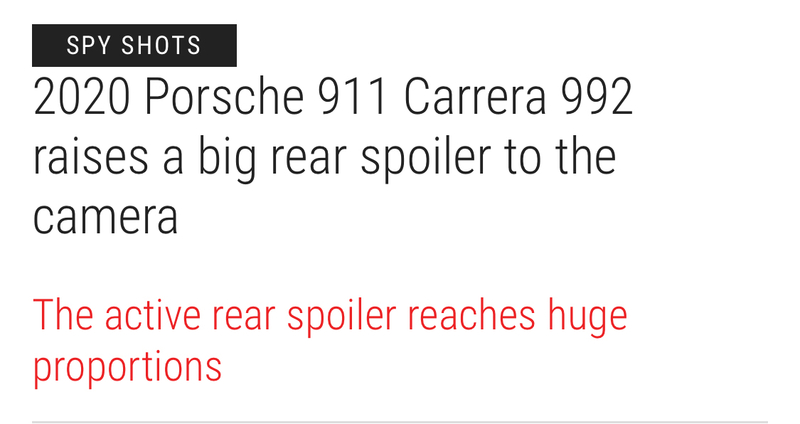 The hood on the 992 looks really flat. That with the front bumper cut outs make the car look square from the front. And that spoiler just look terrible. The interior, take it or leave it imo. Is that a brake light I see underneath the Center of the rear spoiler when it is raised? There will have to be I'm sure. It will block the grill one when raised. Too much black plastic fantastic like the Corvette. Would look better body colored. Last edited by Cyberbug; 09-09-2018 at 04:35 PM. accept the corvette looks good with that stuff, IMO, at least it’s not unexpected. This looks out of place and with that rear shell/wing thing. I’m a bit put out. 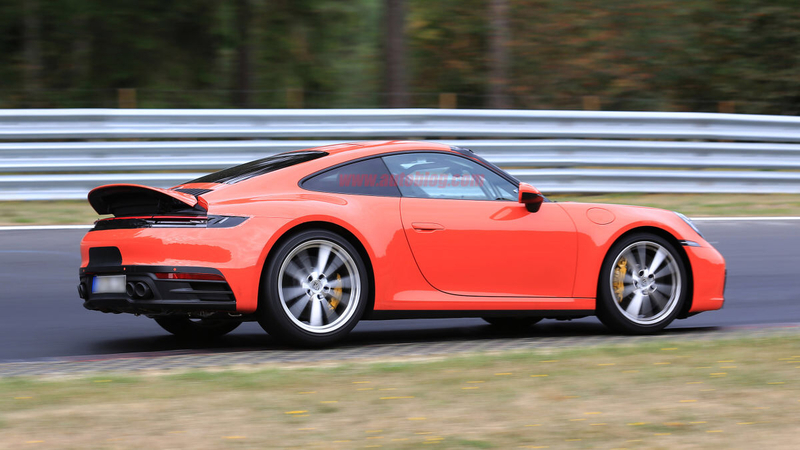 Have a 991 Turbo now and a C7 Corvette. I was planning on trading in for a 992 C2S with a Manual, but I’m not going for this wing thing. If I can’t get an allocation for a GT3 I’ll probably give the MidEngined Vette a try. +1. The spoiler does bother me a bit but it also doesn't look very good on my 991.2 either. The black plastic on the 992 just looks horrible. I can't really believe this would be the final version. I've been watching the video of the C8 and it looks pretty good. I'm a mid-engine fan too. At 52, I've never owned an American car though. I can't get past my perception of lower quality and lower prestige of a Vette. Porsche can provide that, for a price. What video on the C8? I've been interested but afraid from what I've seen, the rear looks like a angry owl. I hope they keep that beautiful steering wheel. There's nothing like an over-sized airbag to give you comfort when driving a high performance car. I saw some beautiful Euro styled concepts - Chevy should just copy what the magazines think it should look like. Their "cutting edge" designs always look plastic and clownish, IMO. But hey, they find a lot of buyers and you can't deny the performance. 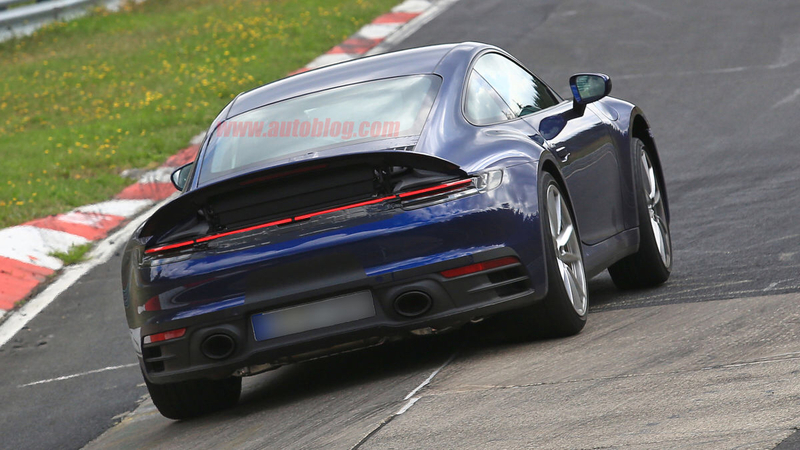 The 992 wing - wow. What can be said. 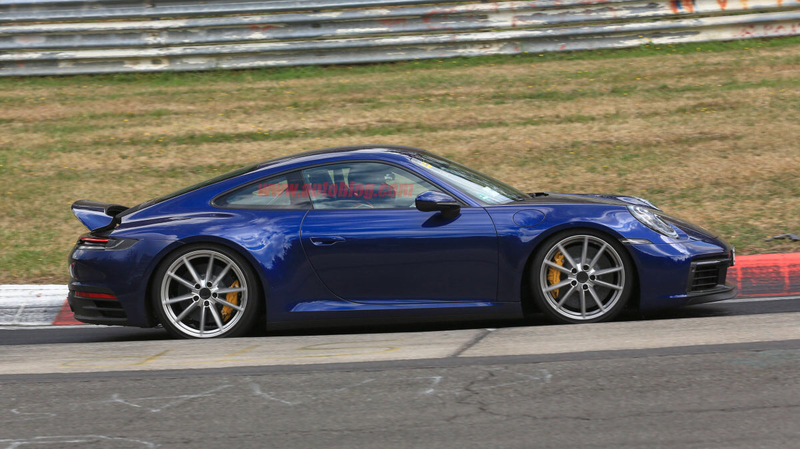 But as I am thinking about ordering my next 911, I drifted over to the Audi site. Why are PDK users buying 911's when the Audi TT RS has 440 hp and 0-60 in 3.5 sec (I think, or 3.6)? Okay, I need to do some work for tomorrow. ... I drifted over to the Audi site. Why are PDK users buying 911's when the Audi TT RS has 440 hp and 0-60 in 3.5 sec (I think, or 3.6)? .... because even though a PDK 981/718/991.1 is slower in a straight line than a TT-RS the Porsche is a better overall sports car than the TT-RS. Everything that really matters, except for straight line speed, is much better in the PDK 981/718/991.1. After my wife got her PDK 981CS I couldn't get rid of my '12 TT-RS fast enough. 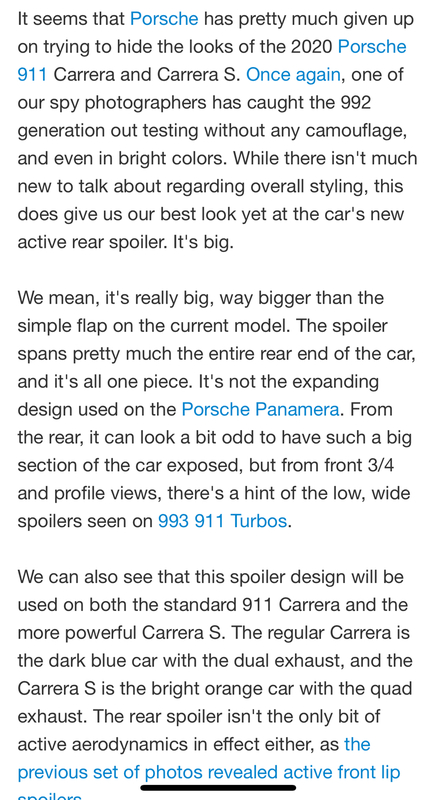 Reports, reviews, and my observations of the MK3 TT-RS do not paint a different picture from the MK2. Yes the TT-RS is cheaper and faster. But the Cayman was a so-much-better car that it was worth the extra money and being a bit slower. On the other hand, the 5-pot motor in the RS is a monster. When we still had both, my thought was that the only thing that could make her 981 better was that 'RS motor.